The Vivant line is based on the beautiful floor in the Pope's Palace in Avignon, France. It features charming period decos with creatures and botanicals, set with field tiles of varied rich textural renaissance colors. The Vivant series comes in a 4" field format, and should be sealed prior to grouting. 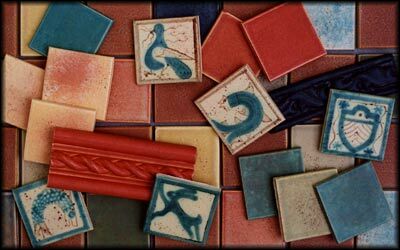 The glazes can be used on our extruded trim shapes.